When Mac OS X Leopard is released, the iPhone will get a proper file browser, plus suppport for iChat, iLife, iWork etc. Due to the delay of the Mac OS X Leopard upgrade, Apple has been forced to put several functions of its Apple iPhone on hold. But when the Apple iPhone is released in Europe later this year, the device will have a proper file browser, plus full support for iChat, iLife, iWork and Microsoft Exchange. 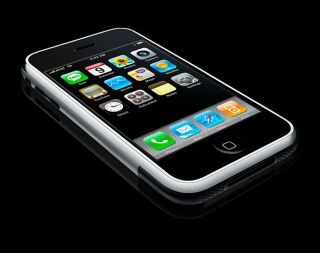 Much of the criticism relating to the Apple iPhone concerns the lack of certain applications and functions. But many of these shortages will be rectified when Mac OS X is upgraded this summer and autumn, Apple Insider reports. Mac OS X Leopard is expected in October, and along with it a file browser and mobile version of iChat are expected. Synching files between the iPhone and a computer will also be possible under the Leopard upgrade. Many critics want full support for Microsoft Exchange and Microsoft Office on the Apple iPhone. These applications are not included on the Apple iPhone already because Microsoft reportedly needs to finish developing MS Office 2008 first. This is expected to happen in autumn as well. Rumours are suggesting that the Apple iPhone will get some form of Flash support. As Apple has promised that the Apple iPhone will connect to the 'real web', Flash is expected to be part of this experience. The Apple iPhone is also to get support for many functions in iLife and iWork as soon as new versions of these applications are released.